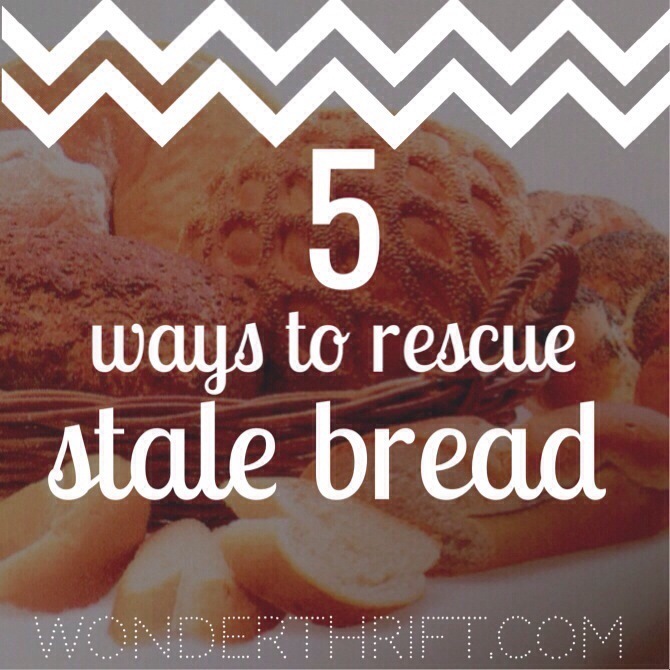 Bread rarely gets stale in this house! But yeah, I usually like to toast up or crouton-ize our stale bread. Love the water and oven trick though- I’ll give that a try! I love the last one! Definitely going to give the croutons a go simply because it’s something I’ve always meant to try, and garlicky croutons are so good! #6: Bread and butter pudding!!! Semmelknödel! They’re dumplings made from stale bread, such as here: http://germanfood.about.com/od/potatoesandnoodles/r/semmelknoedel_german_dumpling.htm . You can also make a big long one (like a giant sausage), roll it up in a clean tea towel, and boil. Cut into slices, and serve. Leftovers can of course be fried in a little butter (YUM), or frozen. We use it always to create breadcrumbs. My family had never enough of them. We like them especially as a guilty treat. Fry them lightly with butter and spices of your choice and spread on cooked corn cobs, runner beans, cooked tenderstem broccoli or asparagus. Yum.